Image patterner is an extension of a technique for creating two dimensional ‘panel’ patterns of complex three dimensional surfaces. This technique has been extended to allow pre-printing of full colour designs onto (for example) fabric before cutting and assembly. Designs can cross seam boundaries without the dislocation that would otherwise be caused by the complex curvature of the surface. Figure 1. Perspective view of surface before patterning. The flat surface at the top is the source image. The mesh at the bottom is a standard anti-clastic shape output from patterner. 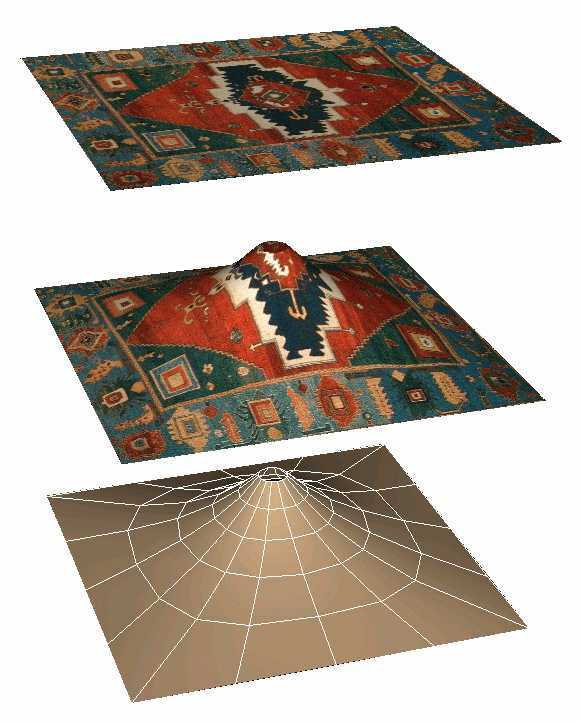 The surface in the middle shows how the the image is mapped onto the mesh. Figure 2. Input image for comparison. 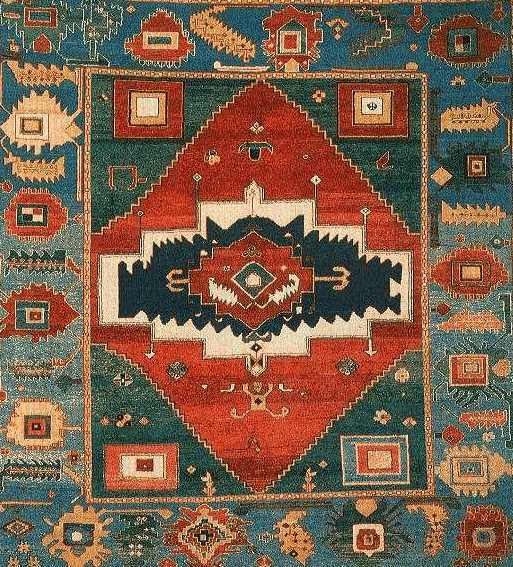 The image is of an Azeri rug/carpet, see http://www.obannonrugs.com/ for more information. This image can easily be exchanged with any other photo, design, lettering or pattern to produce any number of interesting effects. The images below are the panels generated and oriented by the image patterner software. All appropriate distortions have been made to ensure that the edges of the panels align exactly. Assuming that this structure is about 8 metres square, these resolution panels correspond to 1 pixel per 10mm. With suitable hi-resolution input images, there is no reason why higher level of detail output images can't be achieved. Suggestion: Print out this page and stick the panels together with tape to make a scale model of the finished 3 dimensional surface. Figure 3. Individual panels as generated to scale. Note: these are fairly large filesize png images suitable for printing. Figure 4. 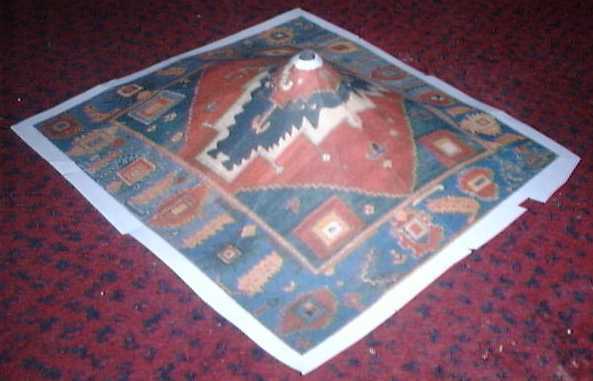 Photo of paper model made by cutting out and sticking together the images above. i´m very interested in your software image patterner. are you still working on it? would be great to find a tool like this. i need something with cylindrical and spherical projection and unfolding to 2d. This document was last modified on 2009-06-14 15:47:38.